The energy of this season definitely lends to a sparkly "festive" feeling, which can be super fun. But if you're an introvert or highly sensitive person like me (or just someone who values quiet evenings at home! ), it can also be a tad overwhelming. I'm here to remind you that being healthy over the holiday season isn't just about resisting that second piece of cheesecake at your best friend's potluck - it's also about maintaining social well-being. Ever been stuck at a party, afraid to leave because you don't want to hurt anyone's feelings? Or maybe you tried to stick it out, only to feel exhausted and cranky afterwards. 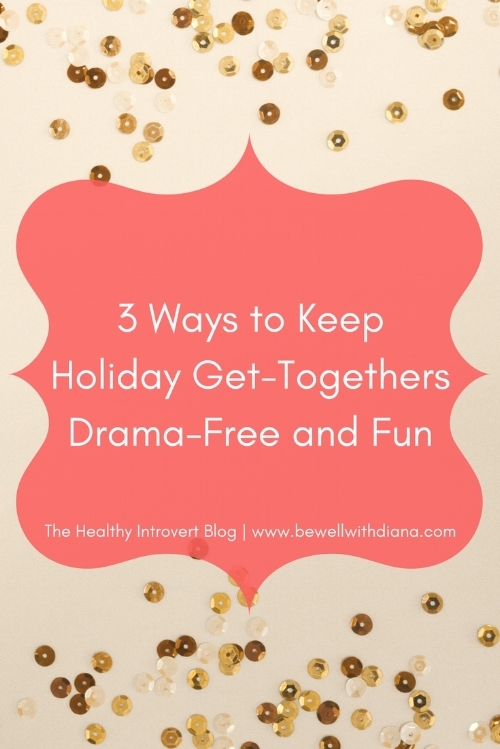 These 9 strategies for socializing as an introvert have helped me to ensure that everyone involved gets to enjoy themselves - especially as holiday parties and potlucks ramp up through the holiday season.